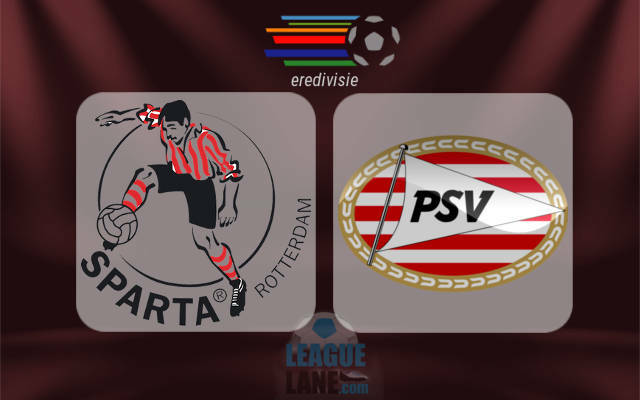 PSV will have an imperative to maintain the fine streak and pick up the fourth consecutive victory this Saturday when they travel to Rotterdam to take on Sparta. Getting three points from Sparta-Stadion Het Kasteel will be easier said than done in spite of the fact the bookies price the visitors at only 1/3 to claim the win. Sparta have two wins on the trot on the home court including the one against the current Eredivisie leaders Feyenoord. The previous round has seen Alex Pastoor’s side putting three goals past Heracles. Five of the last six games Sparta played at Het Kasteel offered the option of both teams scoring & Over 2.5 goals which gives a decent value to this betting pick at 20/21 odds. The reigning champions will most likely not defend the title as they are eight points below Feyenoord at the top of the standings with seven games left to play until the end of the season in the elite class of Dutch football. Philip Cocu will, however, be desperate to overtake Ajax in the second position and qualify for the Champions League. The Peasants are currently two points off Ajax and they will need to pick up the victory against Sparta to stay in the contest. PSV have been much better historically winning 22 out of 31 games, but Sparta took the victory in the previous head to head encounter. It happened in KNVB Beker in October last year when Pastoor’s squad took a 3-1 victory in front of their fans thanks to goals from Vriends, El Azzouzi and Brogno. PSV have more quality in their squad and a greater motive, but Sparta have been pretty solid in their last two home fixtures which significantly reduces the value of 1/3 odds offered on the away win. However, you can’t make a mistake backing goals. The number one call is Over 2.5 goals FT & BTTS at 20/21. The second bet is Over 1.5 goals in the first half at 6/5.